good practice in appointing and developing TAs – technicalities, examples and proforma. leading a team of TAs. 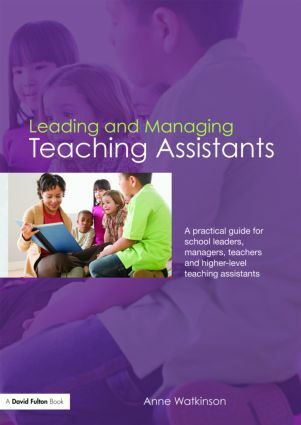 This supportive and stimulating book is complemented with practical and effective strategies for managing TAs. TAs can contribute to higher standards for pupils, better curriculum delivery, improved work-life balance and effectiveness for teachers and support for whole school policies. Including examples of good practice, real-life accounts, research evidence, sources of help and suggestions for further reading, this book provides all the guidance a manager will need to help them make the best use of their TAs.